The point is that the Blackhawks need a second center. One of the reasons they couldn’t get past the Kings this season is just how deep the Kings are down the middle, and while I don’t expect the Hawks to get there without an entire overhaul of the roster, it’s still a position they can upgrade. For a while now, my ideal target has been Vancouver’s Ryan Kesler, though I’ve never been all that optimistic about the move happening. Last season, before the NHL trade deadline, it was made known that Kesler wanted out of Vancouver. Despite some interest from teams like the Penguins and Ducks, the move didn’t happen. 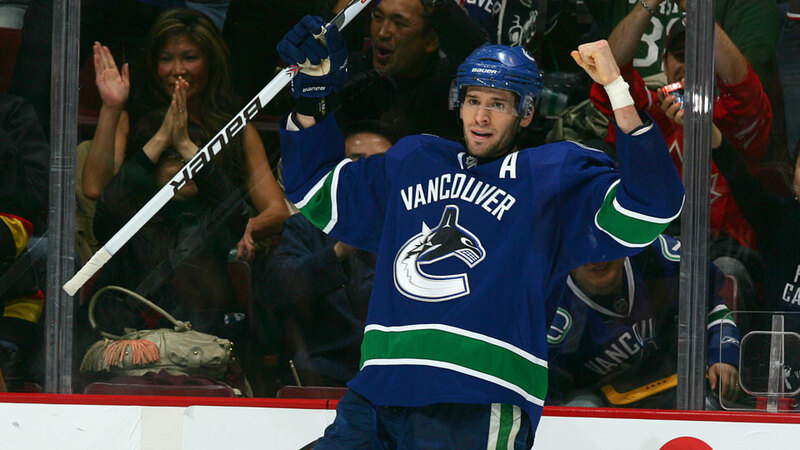 Well, spending a few more months in Vancouver hasn’t seemed to change Kesler’s mind. According to a couple of different reports, he still wants out. Ryan Kesler hasn’t changed his mind. He wants a fresh start and to move on from Vancouver; he met with Benning earlier this week to talk about that. It’s believed that Kesler still has six teams on his list that he’s willing to be traded to. And we think that Philadelphia and Anaheim are among those. The word out of [Kesler’s camp] is that, y’know, Benning’s a great guy, but he’s inherited a mess, and they don’t think this roster has enough skill to win soon and they want to win. So Ryan Kesler goes back on the trade block, and we go through all of this again. …. Both his side and the Canucks side when they met – Benning, [Kesler’s agent Kurt Overhardt], and Kesler – they agreed that they weren’t going to say anything – they were going to shut their mouths, and let this play out – because they don’t want this big hullabaloo and the circus that encompassed Roberto Luongo, and some of the things that we’ve seen around Vancouver. And like Kesler, I still haven’t changed my mind about wanting him on the Blackhawks. Now, as Dreger mentioned, there are only six teams he’s willing to be traded to (he has a no-trade clause in his deal), with Philadelphia and Anaheim being mentioned. We also know last year that Pittsburgh was interested, so you have to assume they’re also one of the six teams. That leaves three other teams, and while I don’t know for sure, my Blackhawks arrogance leaves me no choice but to assume that Chicago is another place on his list. Why wouldn’t it be? It’s an original six franchise with Stanley Cup aspirations every season. But what would it take to get Kesler here, and would it work? As I wrote earlier this week, there’s a good chance that the Blackhawks could move some key players this summer no matter what they tell you. As Stan Bowman mentioned, the top priority is signing Jonathan Toews and Patrick Kane to a contract extension, and to do that, they’re going to need to free up some cap room. Well, Kesler is owed $5 million a year over the next two seasons. Brent Seabrook is owed $5.8 million over the next two years, while Patrick Sharp gets $5.9 million over the next three. It’s said that Vancouver is looking for a player that can help now, along with prospects for the future. Seabrook and Sharp certainly count as players who can help now (and actually provide the Hawks some cap relief in the process), but what future prospects would Vancouver want? I can’t say I’m comfortable with the idea of giving up Teuvo Teravainen, and I’m not sure what else the Hawks really have that could make this deal happen. So I guess my dream of Ryan Kesler in a Blackhawks sweater will remain just that: a dream. The good news is that there are other options out there available via trade this offseason. In the same TSN article Bob McKenzie wonders how the Kesler trade market will affect the market for Ottawa’s Jason Spezza. Spezza isn’t nearly the defensive player that Ryan Kesler is, and he’s also a year older and more expensive, but he’s a free agent after next season. That means he could be had in a trade as a one-year rental for a lot lower price than Kesler. While he’s far from a perfect option, he’s a better second center option than anybody the Hawks currently have. Though, again, he’s not Ryan Kesler. And even if I don’t believe it’s going to happen, until Kesler is traded somewhere that isn’t Chicago, the dream will stay alive. This entry was posted in Chicago Blackhawks and tagged Brent Seabrook, Jason Spezza, Jonathan Toews, Patrick Kane, Patrick Sharp, Stan Bowman, Teuvo Teravainen, Trade Rumors by Tom Fornelli. Bookmark the permalink.